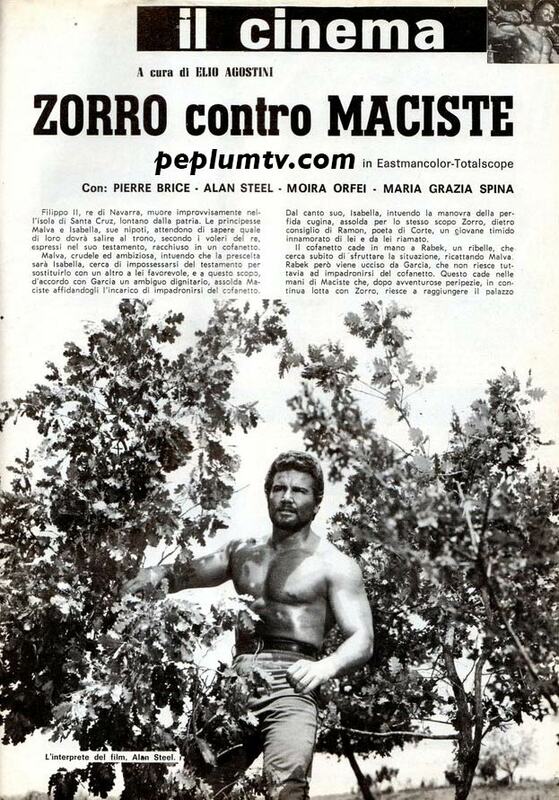 Vintage Italian article on SAMSON AND THE SLAVE QUEEN (1963), also known as ZORRO AGAINST MACISTE. With Alan Steel, Pierre Brice, Moira Orfei and Massimo Serato. Cool photos.